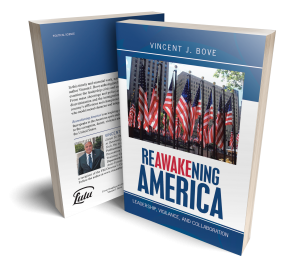 Reawakening America is an inspiring social and political commentary that speaks to the American spirit and encourages citizens to stand up to the corruption, deceit, violence and divisiveness that is plaguing the United States. Copyright © 2018. Vincent J. Bove. All rights reserved.